When Sophie Bennett moves from a quiet sleepy suburb of Toronto to glitzy west London, she doesn’t know where she has landed: Venus or Mars. Her three-year-old daughter Kaya attends Cherry Blossoms, the most exclusive nursery in London, where Sophie finds herself adrift in a sea of Alpha Mums. These mothers are glamorous, gorgeous, competitive and super rich, especially Kelly, the blonde, beautiful and bitchy class rep. Struggling to fit in and feeling increasingly isolated, Sophie starts The Beta Mum, an anonymous blog describing her struggles with the Alpha Mums. But when her blog goes viral, she risks ruining everything for herself and her daughter. How long will it be until they discover her true identity? Is her marriage strong enough to survive one of her follower’s advances? And will she ever fit in with the Alpha Mums? 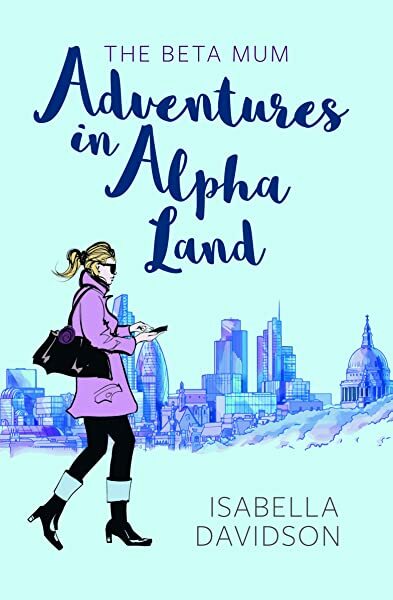 Start reading The Beta Mum: Adventures in Alpha Land on your Kindle in under a minute. Isabella Davidson is the author of the popular blog 'Notting Hill Yummy Mummy', which chronicles the entertaining lives of west London residents. Through the blog, she has written features for 'The Times', 'The Saturday Times Magazine', 'Corner' magazine, and has been interviewed by 'Financial Times', 'Harper's Bazaar', 'The Spectator', 'The Times' and many more. She started 'The Beta Mum' during the six-month Faber Academy novel writing course. Prior to starting her writing career, she worked for a Nobel Prize-winning humanitarian organisation and as a doctor for the National Health Service. She grew up on four different continents before settling down in London fifteen years ago. She currently lives in west London with her husband and their two small children. 1.0 out of 5 starsIt’s just London. Sometimes it isn’t easy to find your tribe. Being snarky and self sabotaging isn’t going to help. That is to say; not a fan of the antihero protagonist with zero self awareness. Not a fan of this book or writing style because it just makes everyone who is criticised in it or outside reading it to feel bad about relationships, connection and friendship. The “chick lit” genre has been a very subtle subversion of the antifeminist tropes. They normally are an every day girl making her way to finding her own peace in her own way. This whole binary of those who are different from the protagonist and everyone else as enemy is depressing and problematic in 2019 and I say this as an expat American living in the same neighbourhood as the main character, “same/same”! It just London. It is how it is. 5.0 out of 5 starsThe perfect summer read for mums! Hugely entertaining and a real eye opener! I raced through this in a couple of evenings and laughed out loud many times over! A must for West London Mums and anyone else interested in this unique tribe! 5.0 out of 5 starsRecommend it to all Londoner mothers! I have definitely felt similar after moving to London! ! Great book - made me laugh and cry at the same time! Ironically, as a Canadian living in West London, I found the lead character Sophie very hard to like. Not all Canadians are such cliches. Greatly entertaining and well written, I read it in a day. Cannot wait for the next book to come out! A good read and easy to relate to for any parent who has felt like a fish out of water in the school playground! Very entertaining and well written! Highly recommended for your summer read!